The Nikon D850 is Nikon's latest high resolution full-frame DSLR, boasting a 46MP backside-illuminated CMOS sensor. But, in a fairly radical departure for the series, it is also one of the company's fastest-shooting DSLRs. This combination of properties should significantly widen the camera's appeal to high-end enthusiasts as well as a broad range of professional photographers. The D850 puts staggering image quality and impressiveperformance within reach of working photographers everywhere. Capture the jewels of the night sky with Nikon’s first DSLR dedicated to long-exposure deep-sky astrophotography. Create staggering high-resolution images of H-alpha emission nebulae and other celestial objects thanks to a specialized IR cut filter and a 36.3 megapixel FX-format full-frame image sensor with no optical low-pass filter. Shoot ultra-long exposures up to 900 seconds (15 minutes), then stack the resulting images. Create star trail images that span the entire sky with unlimited continuous shooting. Bring your vision to life with Nikon’s first full-frame DSLR to feature a tilting Vari-angle display and built-in Wi-Fi® connectivity. With pro-caliber video features inspired by the D810, the same autofocus and metering system used in the D4S and D810, a newly designed 24.3MP FX-format CMOS image sensor and EXPEED 4 image processor, the D750 delivers a feature set unlike DSLRs its size. A monocoque design keeps the camera remarkably slim, compact and lightweight, and a control layout based on Nikon’s flagship cameras makes for comfortable, intuitive handling. 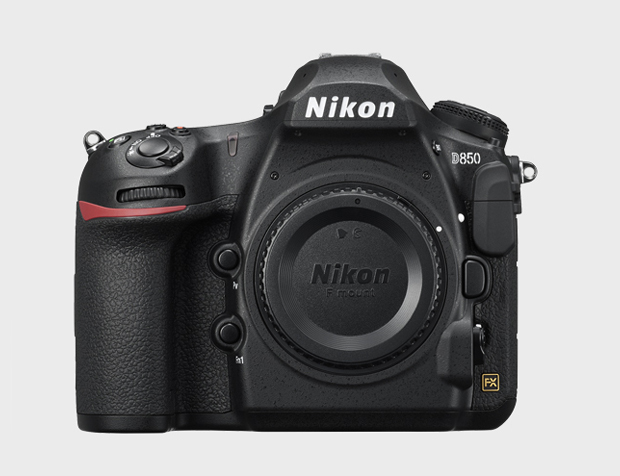 Meet the new DX flagship, the Nikon D500 DSLR - a veritable powerhouse of processing power and technological advances that will let you easily create stunning 20.9 MP photos and cinematic 4K UHD videos. The D500 is ready to go wherever your image making passions lead you, from low-light cityscapes to capturing thrilling wildlife and landscape scenes and fast action shots. Instantly share your gorgeous photos using the camera’s built-in SnapBridge (Wi-Fi® + Bluetooth) capabilities. Follow your passion wherever it leads.Born from a desire for flagship performance and innovation in a more compact and streamlined connected camera, the D7500 is a game-changer. 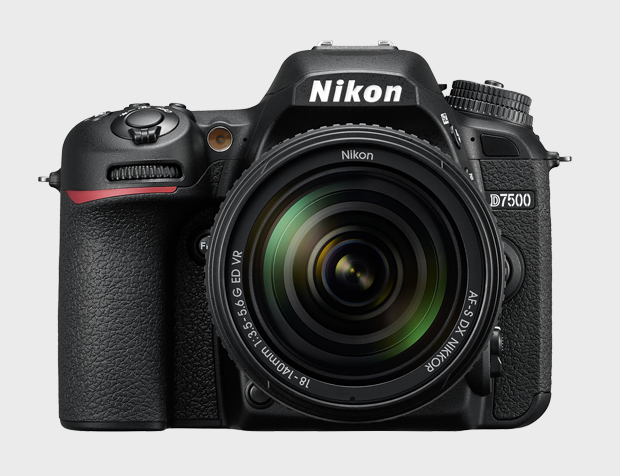 The D7500 is built to outperform any camera in its class with top-tier image quality, blazing speed, flawless autofocus, 4K Ultra HD video and pro-grade creative tools—all in a comfortable, rugged design. This is a camera for the new generation of creators. Step up to the next level of imaging excellence with enhanced low light capabilities, faster performance and greater convenience. Freeze fast action from dusk to dawn thanks to an advanced 39-point autofocus system. Compose shots from creative new angles and set focus with a flip-out swiveling touch display. Share images easier and faster with the most advanced SnapBridge connectivity in a Nikon DSLR. Push the boundaries of your creativity as far as they’ll bend. The future of photo sharing is here. Freeze fast action, softly blur the background of a portrait or capture a sharp low-light moment with breathtaking image quality, and then marvel as SnapBridge automatically transfers your photos to a compatible smart device—ready to share. This compact, easy to handle DSLR will forever change the way you take and share photos. Nikon Coolpix cameras are organized into five different lines. The line in which a particular camera is placed is indicated by the letter which is the first character of its model number. NIKKOR is a lens brand for cameras that symbolizes the spirit of Nikon. It is “instrument of light” brand where advanced engineering technology and traditional lens craftsmanship are combined at the highest level. It is the very existence that has always been continuing to push the boundaries of imaging possibility. Nikon Professional Services provides valuable assistance for pros in every segment of the photography field, including newspaper, industrial, police and forensic, medical photography, commercial studios, wedding and portrait studios, audio-visual production houses and even special movie productions.